UNESCO has been in crisis for nearly two years. When the UNESCO General Conference met in 2011 it elected Palestine to membership. As a result, the United States immediately began to withhold its contributions to the Organization; 22 percent of the regular budget was suddenly gone. The United States continues to withhold its contributions although the Obama administration has requested that Congress appropriate the necessary funds. The current gridlock in the Congress suggests that the funding may not be authorized soon, and it may be that the United States will lose its voting rights at the General Conference. 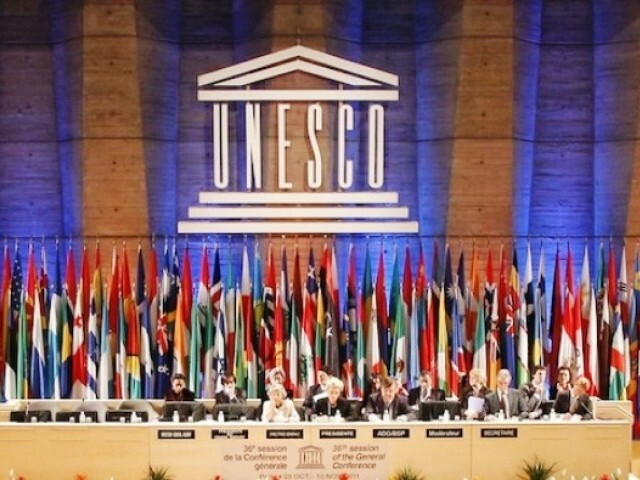 In its next meeting, as part of a complex agenda, UNESCO’s Executive Board will consider the UNESCO’s program and budget for the next two years and the election of a Director General for the next four years. The members will do so knowing that UNESCO will be expected to provide global leadership in the planning for education and science to meet the Sustainable Development Goals to be defined by the United Nations for the coming decades. UNESCO will also be expected to deal with the crisis in education created in the Levant by the millions of refugee Syrian children. It will also be expected to work to preserve world heritage sites threatened by conflict and by environmental problems. And of course, it will be expected to continue to find ways to build the defenses of peace in the minds of men, as it has always sought to do. There are three nominees for Director General of UNESCO. During its upcoming meeting (24 September-11 October 2013) the 58 members of the UNESCO Executive Board will select one to recommend to the UNESCO General Conference. The General Conference will almost certainly accept that recommendation during its 2013 meeting (November 5 to November 20). There have been rumors for some months that she might withdraw from the election, but there have been public announcements of her country’s support for her candidacy. Similarly, there has been a recent critical article from politics.co.uk. So too, in the United States the conservative National Review published an article critical of UNESCO and DG Bokova in March. Rachad Farah was nominated last year by his country, Djibuti. 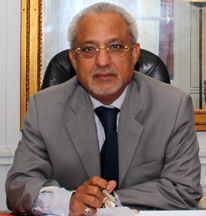 An experienced diplomat, and serves as Djibuti’s Ambassador to several countries and is its Permanent Delegate to UNESCO. Here is his biography, He has publicly outlined his vision for UNESCO. Here is a more formal vision statement. Here is his website. Joseph Maila has been nominated by the Government of Lebanon. According to an April post by the World Public Forum Dialog of Civilizations “Joseph Maila is specialist in Islamic studies and international mediation. He is former president of the Catholic Institute of Paris, former director of the French Center of Research for Peace and founder of the French Mediation and Negotiation Training Institute.” He has also worked for the French Ministry of Foreign Affairs in recent years. Here is his biography on Wikipedia. Here is a statement of his vision for UNESCO. Members of the Executive Board in the Board’s deliberations represent not only their own governments but also the the other members states of their regions. Directors-General have been elected from many continents, and the global community seeks to assure that leadership positions in the UN family of organizations are fairly distributed among the nations of the world. The last four Directors-General of UNESCO have all served more than one term, and one might therefore expect that Director General Bokova would be the favorite in the current election. However, the Executive Board must consider whether her leadership over the last two years indicates that she is the best choice for the next four. Moreover, larger issues in the governance of the network of international organizations may intervene in the deliberations of the member states. The deliberations of the Executive Board should be most interesting. – and introduce DISCRETELY the French (and Lebanese) candidate (former highest executive at Quai d’Orsay head of prospective – ie information under the former conservative governement ) : Joseph Maila who will be able to capitalize much of the european voices lost by Bokova – because some will prefer a Christian rector to an African diplomat (Farah) whatever would be the dynamics and commitment of the latter – ethnoreligious unconscious stereotypes may override objective consideration on programs and dynamics -. Joseph Maila is a very respectable person and become since less than a decade moderate and peaceful with good speeches . I like his personality, he is intellectual, honest and respectful of people : but what about the persons who support him ? some – not all because others are moderate and respectable – seem to be belonging to the former tough Christian Lebanese Right wing . Will they take over the direction of UNESCO and give a radical shift to the organization ? Or will there be guarantees against this as we know that DG (alongside with his close advisors) has a lot of internal prerogatives in appointments ? Hope that Joseph Maila will avoid them and give at least a very little place to Muslim Lebanese, moderate Christian and secular leftists – he will be winning a lot. Irina Bokova committed maybe some mistakes, her mandate was not a disaster. Who is able to manage a 22% cut off in the budget of the organization without provoking some disequilibria ? Stupid to claim that UNESCO is in danger just because one DG did less than expected. She got more than twenty commitment, this in the official public movement. The vote is secret, so are the negotiations and the instruction that may be given etc..The surprise is total in regard to the official commitments. Shadow diplomacy is a masterpiece in non-transparent processes. instead of supposing that there was an a priori secret diplomacy we can suppose that the lobbying made by the third candidate succeded in reverting French and some european diplomacies who formerly promised to support the incumbent DG. Shift is possible in “soft politics” with little harm. And this only is what I was told about by some executive two months ago. 4- suppose that what will make the position of Joseph Maila crucial is that he is more confortable with magistral speech and academic reflexes. 5- suppose that his headquarter will be fortunately constituted with more French and less Lebanese, the thing that will be less humiliating for Lebanese Muslim and Leftist who are underrepresented in Lebanese delegations in France. All these facts allow us to demonstrate how stupid was my last simplistic way of thinking. thank you for bearing my dialectical and controversial statements. try to think that diplomacy is a very complicated game. 2- actors influence decision at many levels and in a single state there maybe cross influences and divisions : suppose a state where Minister of foreign affairs rejects a candidate who is supported by the head of state, with no governmental consensus etc..
these three hypothesis may invalidate the structure of my last comment – I do not know wether the facts I related in my last comments become true : I hope not – but hope is not reality ! I always hoped democratic changes social justice but just opposite is sometimes effective. The purpose of these posts on the election of the UNESCO Director General is to make it easier fro interested people to find relevant information. Surely a function of the Executive Board is to prevent anyone unworthy of the honor from being elected Director General of UNESCO. It would seem that all three of the current candidates are deserving of respectful consideration. I hope that the election process will choose the candidate most likely to help UNESCO rise to the challenges inherent in its mission and the evolving global situation in future years. As you suggest Professor Wald, it is likely that the representatives of the member states also will be concerned that the outcome of the election advances their nations’ general foreign policy interests. Do not underestimate the influence of groups of countries voting together in the election. African nations, very concerned with the developmental challenges facing sub-Saharan Africa, have successfully joined in focusing UNESCO’s programs on that region. Irina Bokova is the first Director General to have been born and educated in what used to be the Communist block of nations. It has been suggested in the past that there have been efforts to coalesce the nations of the European Union around a single candidate. It will be interesting to see if a block of nations coalesces around either the candidate from Djibouti or the one from Lebanon. It is clearly the case that some countries are able to put more resources into their missions to UNESCO and thus follow the management issues more closely than other (less less affluent) countries. These countries may be most concerned with the transparency of UNESCO/s management and the efficiency of its operation. Let me just emphasize the huge impact for the best of the future of the whole planet population if the new DG creates a think-tank cell in Paris peopled with experts from UNESCO and WHO in order the redefine the paradigm of HEALTH. The 850th Anniversary of the Hôtel-Dieu of Paris apart from 2014 is an opportunity to start that procedure of brain storming. I’m starting a series of bimestrial international conferences on Hospital Museology under the auspices of the Academy of Sciences, Arts & Technologies of Medical Imaging (ACSATIM) in order to boost the discussion. The first one is scheduled on 18 October 2013 at the Ecole du Val-de-Grâce of Paris with two French orators, one from the Erasmus University Rotterdam, one from Dornod, Mongolia. I plan to invite the elected DG to open either the first conference or the next one. If you like that project that you to join me!